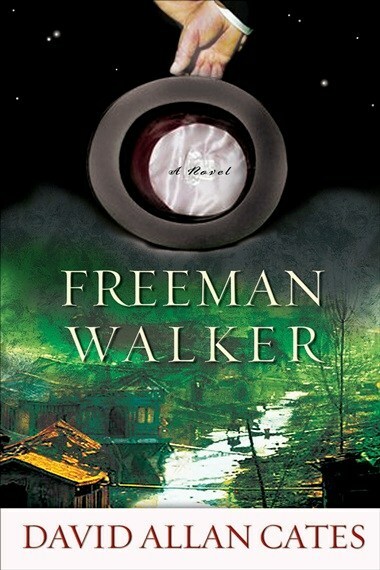 [Freeman Walker is] a magnificently absorbing novel, one that subtly, yet definitively, resonates with the highly politicized tenor of our current times, while adding substance and perspective to our past. Freeman Walker is a story told by a mulatto slave, Jimmy Gates, freed by his owner-father when he is 7-years-old, separated from his mother and everything he holds dear. After receiving an unforgettable talk by his father about the rules of life he will no doubt discover on his journeys, and a copy of the Declaration of Independence, he is sent to England to get an education. Jimmy, in the first of the novel’s great ironies, has had a blissful, loving childhood and never understood he wasn’t free until his new “freedom” enslaves him miserably. When he is 18, dreaming himself a warrior and a hero, he returns to the States to rescue his mother. While looking for his mother in northern Virginia—he discovers that if he wears a hat he can pass for white—he gets caught in a major battle. Jimmy is overjoyed to be able to take part, but is soon overwhelmed by its horror. Untrained, and unattached to any unit, he nevertheless has a chance meeting with O’Keefe of the Sword, who is now a Union General leading a brigade of Irishmen. Jimmy saves O’Keefe on the battlefield, but later is captured himself by Confederate forces, and again made a slave, spending the next two years attached to a confederate regiment digging graves. When his unit is overrun and he is found shackled in a root cellar with his friend, a Yankee officer presents to him a terrible choice, stay locked up, or commit an atrocity and go free. He chooses to walk free. But into the territory that winter rides the new territorial governor, none other than his childhood hero, Cornelius O’Keefe, who the war has turned into a pacifist. Freeman’s life changes once more as he becomes O’Keefe’s secretary, and the two of them, joined by a half-breed captain named Felix Belly—three outcasts—form the only government in the Territory, a wild and savage place run by vigilantes. Their quixotic attempt to stop the vigilantes from a campaign of terror against the Natives spurs a terrible but noble adventure and brings Freeman a kind of rebirth in which he finally comes to understand the meaning of moral freedom. But that moment, in the carriage, I saw his face as I had never seen it before, and his sadness scared me. Maybe because of that fear, and maybe because after too much silence I was suffocating for the sound of his voice, and maybe because when he finally did speak he deliberately touched each of his fingers and thumb before each sentence, and maybe because he used the pronoun We, which served to intensify our intimacy as the horses broke into a gallop and the carriage began to sway—maybe for all of those reasons I have never forgotten what he said to me. He swallowed. I swallowed. I watched him touch his middle finger and pause as though he found this one the most difficult to contemplate. He blinked rapidly, nodded beyond me to the passing world out the window, the world we were leaving behind—my mother? “We are not in control,” he said. I could not take my eyes off of him. I tried to swallow again but my throat felt dry and swollen. I was dying to unbutton my collar but dared not. “It will take becoming a man,” he said, “to learn these last two. First—” He touched his pointer. “We do not live for ourselves.” Then he made a fist and shook it slightly as if he were holding something precious that he could feel and did not want to let go.